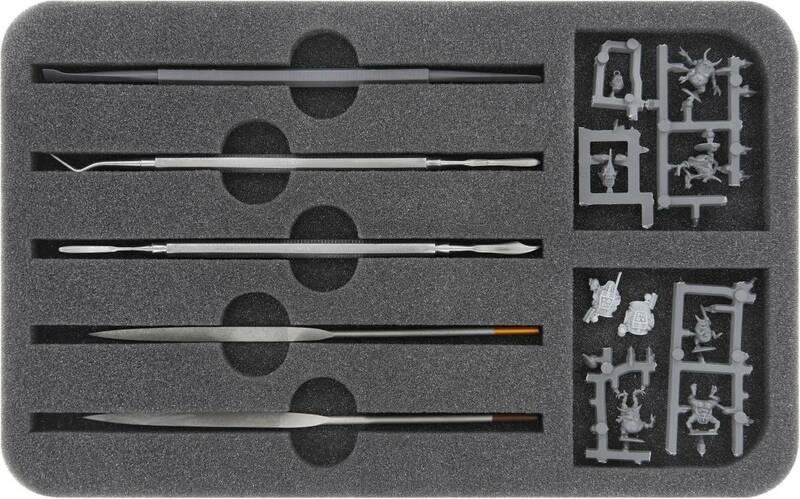 Many hobbyists come up with ideas while assembling their miniatures on how to modify and customize them. But only with the right tools you can achieve the desired result without difficulties. 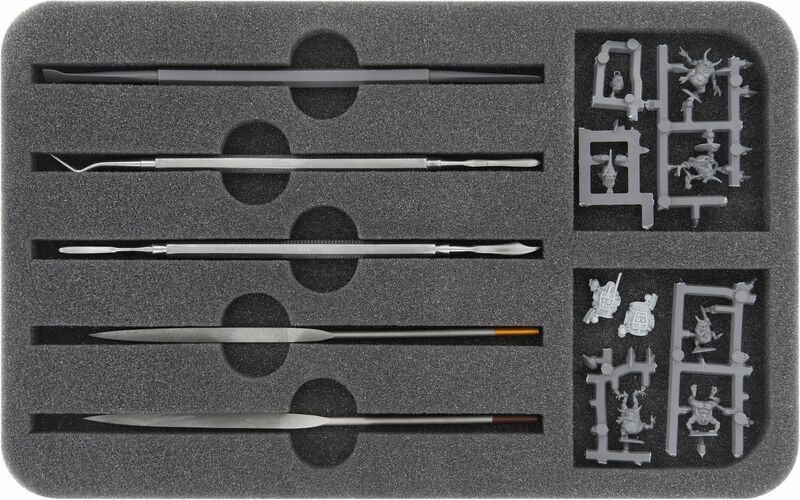 To make sure that you always have your instruments neat and clear at hand, we have this practical insert for you. There are also two rectangular compartments for other small parts, such as Green Stuff. Every tool lies safe and tidy in its compartment and stays there until you need it again. 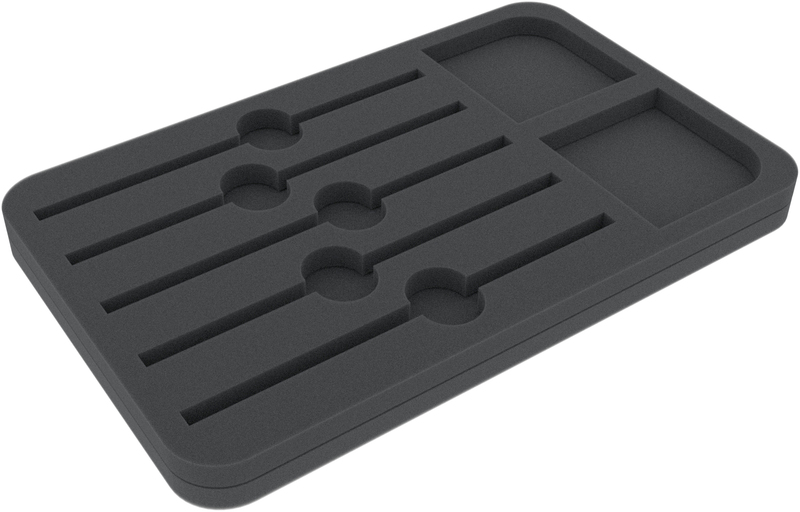 The flat, lightweight foam mat is the ideal addition to your hobby case. This Half-Size foam has the following dimensions: 275 mm x 172 mm x 30 mm total height (20 mm usable + 10 mm foam base).